When the anti-immigrant Minutemen emerged onto the national scene, Washington Times reporter Jerry Seper wrote glowing profiles of the border vigilantes, but over the past year, relations have soured as Seper investigated allegations of shady finances from within the Minuteman Civil Defense Corps. In Seper’s reports, one mysterious factor has been the numerous ways MCDC is intertwined with a host of non-profit and for-profit organizations associated with Alan Keyes. While Chris Simcox, head of MCDC, responded once last year with some unconvincing filings, the groups and leaders implicated have remained silent. Now, one Keyes group is responding. 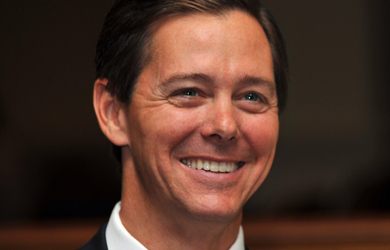 Although only briefly mentioned in the Times, RenewAmerica – a web site featuring writing by Keyes and like-minded commentators – calls a recent article “an obvious (and unprovoked) effort to discredit the organization.” In the article, Seper examines the FEC filings of the Minuteman PAC and discovers that 97 percent of the money it spent went to “operating expenses,” including many payments to for-profit consulting and fundraising companies associated with Keyes. These filings – as well as filings for a second Minuteman PAC – are publicly available. Politechs Inc., a Los Angeles-based political consulting firm headed by Mary Parker Lewis, a key adviser to MCDC and a top official in several tax-exempt fundraising organizations led or founded by Mr. Keyes. In the report, the Minuteman PAC said it paid $10,000 for fundraising to Politechs. Mrs. Lewis served as chief of staff for Mr. Keyes’ 1996 and 2000 presidential runs and in his 2004 senatorial race against Barack Obama in Illinois. She also is executive director of Declaration Foundation and chief of staff at Renew America, another tax-exempt fundraising group founded by Mr. Keyes. What’s more interesting, though, is Voigt’s angry denial that RenewAmerica is even a non-profit at all. 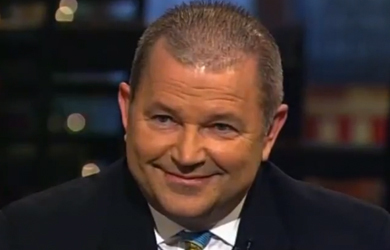 “RenewAmerica is not tax-exempt,” he writes. This may come as a surprise to those who have donated to the company. In the fine print, the group says that “to avoid federal government intrusion, your donation to RenewAmerica.us is NOT tax deductible.” Registered non-profits, which don’t pay taxes, are required to report publicly their revenue, their expenditures, and the salaries of the top officials. Voigt parlays this mention of RenewAmerica – as a biographical detail of Keyes associate Mary Lewis – into a broadside against Seper’s “bad journalism,” and adds suggestively, “I am left to wonder whether the rest of his article is equally unreliable.” But since the Keyes groups actually implicated in this article on the Minutemen’s suspicious finances have yet to respond (perhaps preoccupied with drafting Keyes to run for president), and Voigt is unwilling to look into it (“I am not counsel to any of the other organizations mentioned in that article, so I don’t know”), Voigt’s editorial raises more questions than it settles. 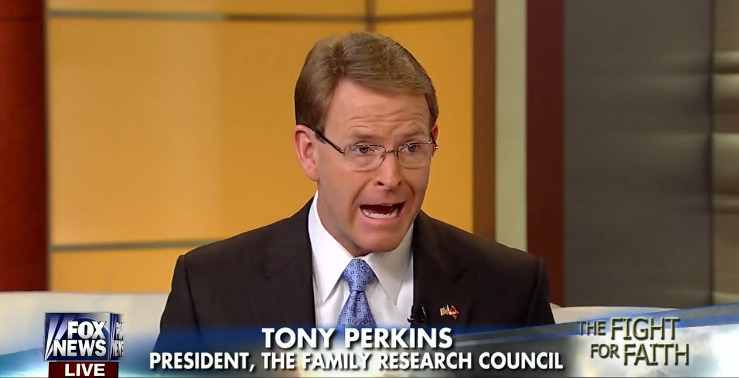 Tony Perkins: Criticism Of Pro-Censorship Group Is An Attempt To Silence Christians!